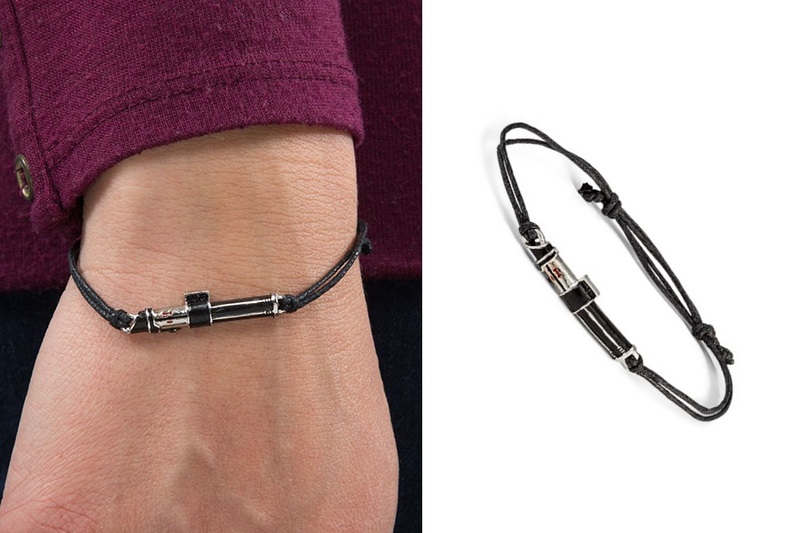 This Star Wars Darth Vader lightsaber bracelet is now available at ThinkGeek. 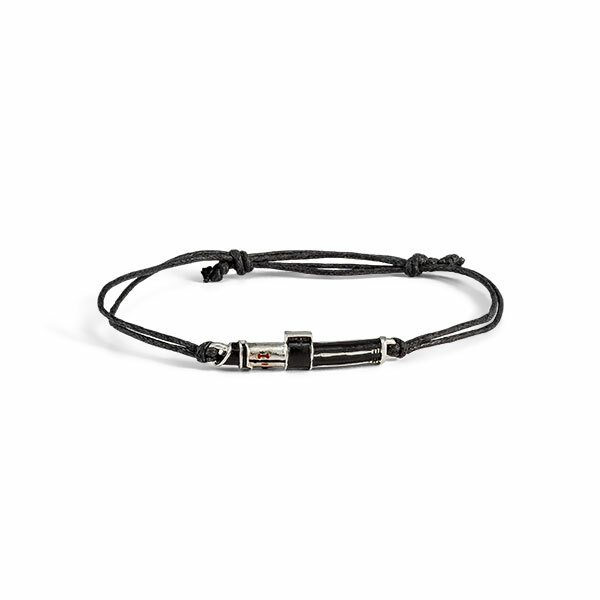 The faux leather cord bracelet features a central metal pendant of Darth Vader’s lightsaber. The bracelet is adjustable, ranging from 6 1/2″ to 8 3/4″. The stainless steel lightsaber is a tiny replica of Vader’s elegant weapon, and the cord is both adjustable and stylish. 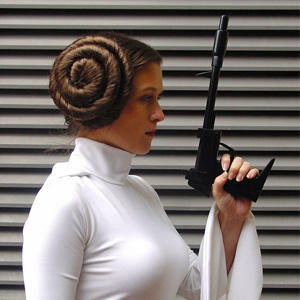 It’s the perfect synthesis of Sith style and upcycling culture. The bracelet is priced at US$29.99 each – ThinkGeek can ship internationally, which is great!